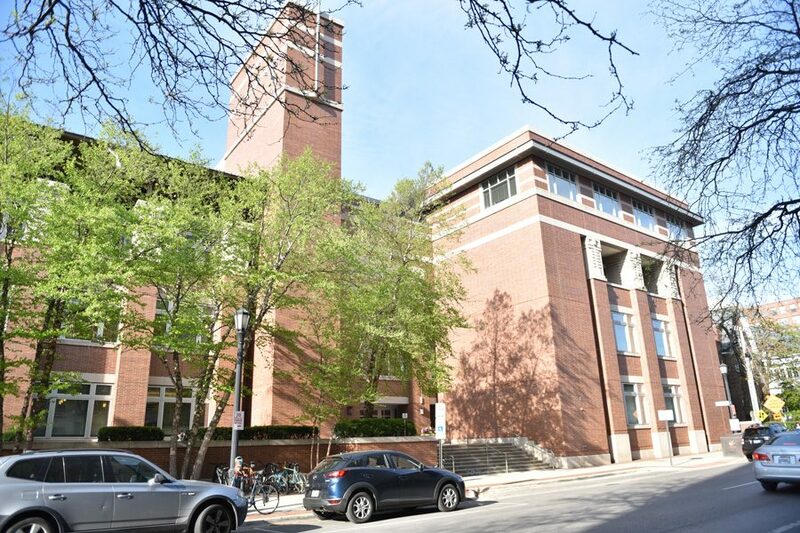 Evanston Public Library, 1703 Orrington Ave. Library board members approved a contract at Wednesday’s board meeting for an equity assessment. Evanston Public Library board members approved a contract with an equity, diversity and inclusion assessment consultant Wednesday, following months of community advocacy for an equity audit. EPL signed the contract with DeEtta Jones and Associates, a Chicago-based consulting firm. The firm will provide equity training to library and city employees from the end of 2017 through the start of 2018, library director Karen Danczak Lyons said. According to EPL documents, the training will assess how the library currently addresses equity, diversity and inclusion. The training will also compare EPL’s progress to other libraries across the country. The firm’s current proposal suggests holding five to six open public sessions, with the goal of encouraging input from community members, and about six targeted sessions with representatives of selected demographics. The proposal also recommends two staff-only sessions. Evanston residents first called for a full-scale equity assessment in May after the suspension of EPL’s longtime head of adult services, Lesley Williams. Williams resigned in June after a series of suspensions and disciplinary hearings. She said in an email statement at the time of her resignation that she felt the public’s focus on her particular situation impeded a broader conversation about equal access and diversity. “I hope that by removing my individual status from the debate, Evanston will be able to focus on the injustice of a publicly funded government institution which continues to resist confronting the inequitable service it provides to lower-income, African American and Latinx residents,” Williams said in the statement. Danczak Lyons said in addition to working with DeEtta Jones and Associates, EPL will collaborate with Patricia Efiom, Evanston’s equity and empowerment coordinator. EPL Board President Benjamin Schapiro told The Daily after Wednesday’s meeting that the library recognizes the need for better outreach to various Evanston communities.